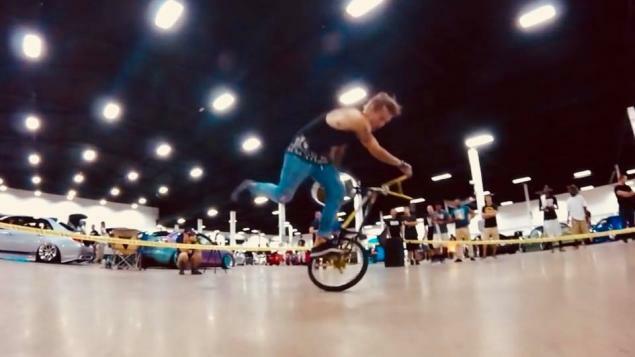 The Flat Event at Battle At The Border car show is a BMX flatland contest taking place at the Buffalo Niagara Convention Center! All of the entry fee money goes into the pro purse. Before and after the event we will have a bunch of sightseeing/adventures planned for the riders also. More info coming soon. Steven Lapsley is getting busy organizing the upcoming summer contest season. The Battle At The Border is schedule for mid August. Still plenty of time to plan your trip. It's going to be part of a big car show in the Niagara Convention Center in Buffalo, NY. You can find a few more details here: Battle At the Border. You look like Marty McFly! Brian, YES! I'll be the DJ.